Uranus retrograde in Aries kicks off 2019 with a bang. So you can imagine the awesomeness this year will have on offer for everyone as we move forward. This is the year of change especially in terms of health and romance and lucky for us, Uranus has a solid stay in the Aries. It makes sure every little change is subtle and welcoming, laying the foreground for an even better time. However, amidst all the positivity and cheerfulness there would be times when you might feel particularly lonely or out of sorts. Therefore make sure you manage to scoop out enough time out of your high-paced lifestyle for yourself to look back on your decisions. Read More: How to improve concentration in your studies? Another good thing to note this year would be Mercury retrogrades. Not one but three, all in water signs Cancer, Scorpio, and Pisces. You can expect a splash of emotional perspective on everything throughout the year. This would greatly influence your creativity and imagination as well. So maybe for people working in professional fields where churning out new ideas is a major part of their job, 2019 is going to be supremely rewarding. The premise sounds pretty exciting and believes us, the rest of the year is going be even more action-packed. So here is a list of few highlights that will make 2019 one heck of a year. Courtesy of Jupiter, the planet of fortune, expansion, and exploration, you might feel like traveling more this year, especially if you are a fire sign. This must be great news because if you are an explorer, you’ll get to experience a lot of new cultures and traditions, thus expanding your horizons by some significant margin. Therefore don’t miss out on even a single opportunity to go out on a vacation or a tour to a foreign land. Now, this may lead to some great outcomes like a scholarship, a sudden business-related success, or maybe brand expansion so there’ll be all the more perks to traveling this year. People often cast away the idea that loving someone will only make you go through a lot of drama and you’ll consequently wind up heartbroken. As identifiable as this may sound to some of you but nothing of such sort is happening this year. 2019 is going to be a pretty chill year for love. If anything, you’ll only get better with the understanding of the whole concept of loving somebody and living up to the promises that you make. Drama, pain, differences are nowhere in sight. 2019 is the year to awaken the creative individual inside you. 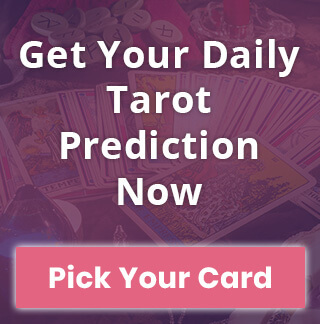 Jupiter squares up with Neptune three times this year which is why you’ll be bubbling up with creativity and the most unique of marketable ideas to go with. However, there’s a catch! You might have to go an extra mile while with your efforts in executing those ideas because that isn’t going to be an easy road at all. This will require a lot of hard work, discipline, and some dedication from the top drawer. You’ll certainly receive a fresh breath of optimism from the first new Moon entering into the summer this year. Some positive influences from Uranus and Gemini will make sure you stay confident and never ever lose hope while chasing after your dreams. You won’t mind putting in some extra efforts or to go beyond your reach to achieve something meaningful. Plus, you’ll feel a profound sense of calmness gradually wheeling inside of you, giving you a better perspective to have a look at things. 2019 is going to be a magnificent year anyway but one thing, in particular, that makes this year so amazing are the countless opportunities that’ll be coming your way continuously. So if you ever feel like you have missed out on something rare and golden, don’t worry, soon there'll be another wave offering even better chances. 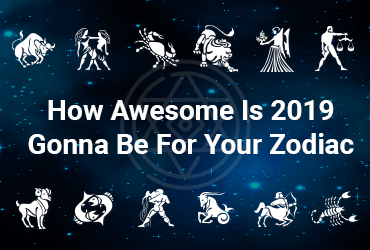 Astrologically speaking, 2019 is gonna be a delightful year. 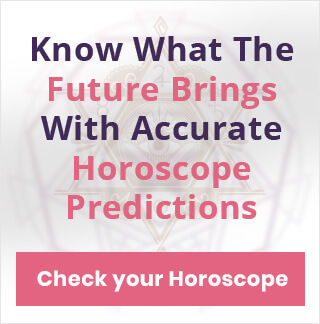 And if you wish to make it all the more wonderful, then there is no better place than Horoscopelogy, where you can get a complete 2019 Horoscope Report and a Personalized Tarot Planner to keep yourself inspired throughout the year.